Christoph Waltz in Inglourious Basterds. Vienna-born veteran Christoph Waltz, whose big-screen career dates back to the early 1980s (Tristan and Isolde, Kopfstand), is this awards season's Best Supporting Actor fave and Oscar shoo-in for his vicious Nazi in Quentin Tarantino's WWII revenge fantasy Inglourious Basterds. Also in the cast: Brad Pitt, Michael Fassbender, Diane Kruger, Daniel Brühl, Til Schweiger, Mélanie Laurent, Eli Roth, Léa Seydoux, Bo Svenson, and veteran Rod Taylor (The Time Machine, The Birds). As announced on Dec. 21, the Chicago Film Critics Association's most astounding surprises were found in the supporting categories: Christoph Waltz and Mo'Nique won for, respectively, Quentin Tarantino's World War II revenge fantasy Inglourious Basterds and Lee Daniels' dysfunctional family drama Precious. As far as surprises go, that's the way it has mostly been when it comes to just about every single U.S. film critics group this – and every other – awards season. The expected winners expectedly winning in their respective categories. And, with the few exceptions noted in this post, here we go. Kathryn Bigelow's Iraq War drama The Hurt Locker, which follows a bomb disposal unit as they go about doing their work, topped each of the five categories in which it had been shortlisted for the Chicago Film Critics Awards: Best Picture, Best Director, Best Actor (Jeremy Renner), Best Original Screenplay (Mark Boal), and Best Cinematography (Barry Ackroyd). This has been one of screenwriter Mark Boal's few wins thus far. Despite the popularity of The Hurt Locker among U.S. film critics, Boal has been usually bypassed in favor of the screenwriters of Up in the Air, A Serious Man, and/or (500) Days of Summer. It must have helped that, unlike many of their counterparts, the Chicago Film Critics have two screenplay categories. In fact, Up in the Air, written by Jason Reitman and Sheldon Turner, was named Best Adapted Screenplay. Among the Chicago Film Critics' other picks were Pete Docter's animated hit Up, which won Best Animated Feature and Best Original Score (Michael Giacchino), and Carey Mulligan, named both Most Promising Performer and Best Actress for Lone Scherfig's coming-of-age drama An Education, in which she plays a London school student ready to have her first sexual experience with a man about twice her age. The White Ribbon / Das Weiße Band, Michael Haneke's drama about strange goings-on in a small village in pre-World War I Germany, was voted Best Foreign Language Film, while Neill Blomkamp was selected Most Promising Filmmaker for the sleeper hit District 9. Additionally, Anvil: The True Story of Anvil, described in the Chicago Film Critics' press release as “a real-life This is Spinal Tap,” won the award for Best Documentary. * Kathryn Bigelow, The Hurt Locker. Spike Jonze, Where the Wild Things Are. Jason Reitman, Up in the Air. George Clooney, Up in the Air. * Jeremy Renner, The Hurt Locker. Michael Stuhlbarg, A Serious Man. * Carey Mulligan, An Education. Maya Rudolph, Away We Go. Peter Capaldi, In the Loop. * Christoph Waltz, Inglourious Basterds. Julianne Moore, A Single Man. Away We Go, Dave Eggers & Vendela Vida. * The Hurt Locker, Mark Boal. A Serious Man, Joel & Ethan Coen. In the Loop, Jesse Armstrong, Simon Blackwell, Armando Iannucci & Tony Roche. The Informant!, Scott Z. Burns. * Up in the Air, Jason Reitman & Sheldon Turner. Where the Wild Things Are, Spike Jonze & Dave Eggers. * The Hurt Locker, Barry Ackroyd. Where the Wild Things Are, Lance Acord. Fantastic Mr. Fox, Alexandre Desplat. Where the Wild Things Are, Carter Burwell & Karen Orzolek. * Anvil! : The True Story of Anvil. Max Records, Where the Wild Things Are. * Neill Blomkamp, District 9. Marc Webb, (500) Days of Summer. Mo'Nique in Precious. 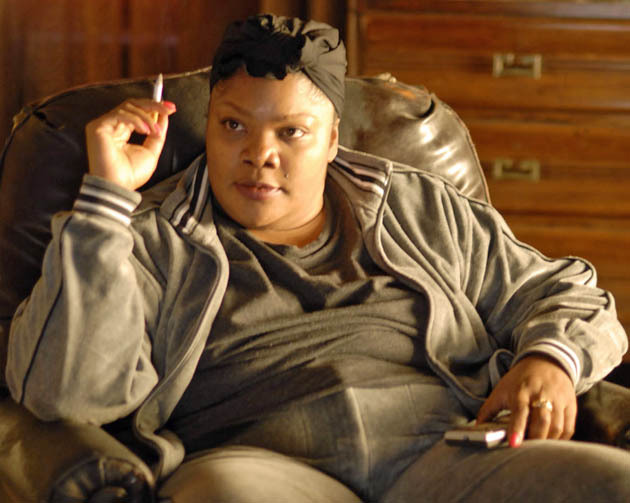 The year's clear Best Supporting Actress favorite, mostly television actress/comedian Mo'Nique (The Parkers) plays Gabourey Sidibe's demented mother in Lee Daniels' Harlem-set, dysfunctional family drama Precious, adapted by Geoffrey Fletcher from the 1996 novel Push by Sapphire. The film had its title changed from Push so as not to be confused with Paul McGuigan's sci-fi action-thriller of the same name, starring Chris Evans and Dakota Fanning. Up in the Air has bagged one more U.S. film critics' award: on Dec. 21, the St. Louis Film Critics Association announced it as their Best Film of 2009. The runner-up was Kathryn Bigelow's Iraq War drama The Hurt Locker. 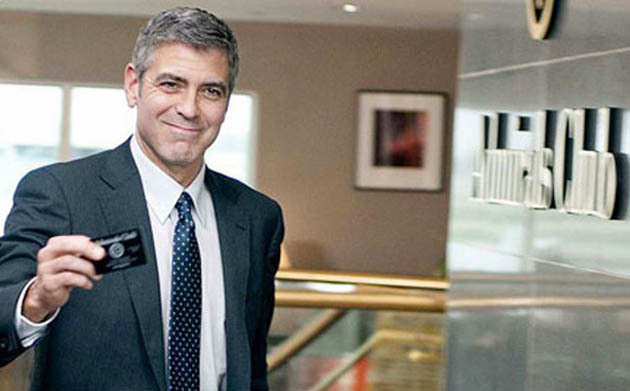 George Clooney was voted Best Actor for Up in the Air, with Patton Oswalt coming in second place for his performance in Big Fan. The Best Actress was once again Carey Mulligan for An Education. She was followed by Gabourey Sidibe's illiterate pregnant teenager in Lee Daniels' Precious. Nothing new among the supporting category winners. The Best Supporting Actor was Christoph Waltz for Inglourious Basterds, followed by Stanley Tucci in The Lovely Bones. Mo'Nique was the Best Supporting Actress for Precious; the runner-up in this category was Marion Cotillard for Rob Marshall's musical Nine. The Best Director was Kathryn Bigelow for The Hurt Locker. There was a runner-up tie between Jason Reitman for Up in the Air and Tarantino for Inglourious Basterds. The Best Screenplay was Scott Neustadter and Michael H. Weber's (500) Days of Summer, followed by Reitman and Sheldon Turner's Up in the Air. The Best Documentary was, somewhat surprisingly, Michael Moore's Capitalism: A Love Story, followed by the Chicago Film Critics' winner rockumentary Anvil! The Story of Anvil. The Best Animated Film was, totally unsurprisingly, Pete Docter's Up. The runner-up was Wes Anderson's Fantastic Mr. Fox. John Woo's Chinese blockbuster Red Cliff, which has been mostly bypassed this awards season, was the Best Foreign Language Film. Woo's war epic was followed by another East Asian-set (but U.S.-financed) production, So Yong Kim's Treeless Mountain, which has been completely bypassed elsewhere. Best Foreign Language Film: Red Cliff. Best Director: Kathryn Bigelow - The Hurt Locker. Best Actor: George Clooney - Up in the Air. Best Actress: Carey Mulligan - An Education. 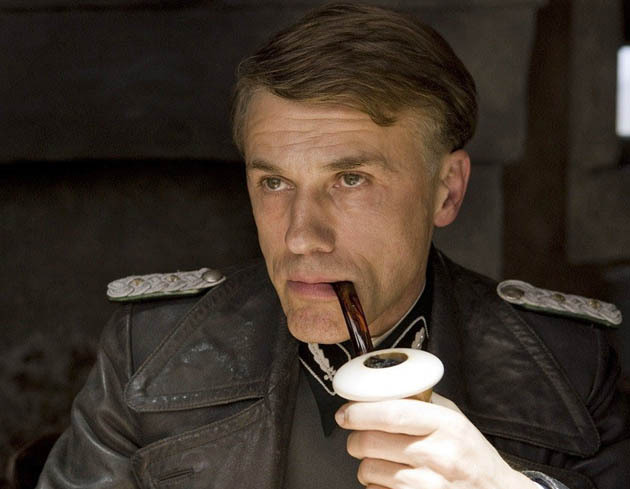 Best Supporting Actor: Christoph Waltz - Inglourious Basterds. Best Supporting Actress: Mo'Nique - Precious. Best Screenplay (Original or Adapted): (500) Days of Summer - Scott Neustadter & Michael H. Weber. Best Cinematography: Nine - Dion Beebe. Most Original, Innovative or Creative Film (“Most Artistic Film”): Avatar. Special Merit (“Favorite Scene”): Up - Opening marriage montage at beginning. George Clooney in Up in the Air. The story of a frequent-flying company-downsizing expert, Jason Reitman's Up in the Air stars St. Louis and Florida film critics Best Actor winner George Clooney, in addition to Anna Kendrick and Vera Farmiga. Jason Reitman and Sheldon Turner's adaptation of Walter Kirn's novel was named the year's Best Adapted Screenplay by the Chicago Film Critics Association. The film itself was the top pick in St. Louis and Florida, while Jason Reitman was Florida's Best Director. Up in the Air was the top choice of the Florida Film Critics Circle. Jason Reitman's comedy-drama about an expert corporate downsizer who travels throughout the United States just so he can fire people won a total of three awards: Best Film, Best Director, and Best Actor for George Clooney. Lee Daniels' family drama Precious also won three awards: a surprising one for Best Actress Gabourey Sidibe, who has usually been listed as a nominee or runner-up; an unsurprising one for Best Supporting Actress Mo'Nique, who has been winning awards left and right; and a second award to Sidibe as the year's breakthrough talent. Louie Psihoyos' The Cove, about the wholesale slaughter of dolphins in a Japanese fishing village, as Best Documentary. Pete Docter's blockbuster Up as Best Animated Feature. And last but certainly not least, Christoph Waltz as Best Supporting Actor for Inglourious Basterds. According to the Florida Film Critics' press release, the narrowest win was that of Best Screenplay (500) Days of Summer (Scott Neustadter & Michael H. Weber), which barely beat Up in the Air (Jason Reitman & Sheldon Turner). One more surprise: Mauro Fiore's Best Cinematography win for James Cameron's futuristic 3D spectacle Avatar, as Barry Ackroyd has been getting most of the mentions for his work on The Hurt Locker. At the other extreme, U.S. critics' fave The Hurt Locker being completely shut out in Florida was definitely a surprise as well. Founded in 1996, the Florida Film Critics Circle is comprised of 17 writers from state-based publications. Best Screenplay: Scott Neustadter & Michael H. Weber, (500) Days of Summer. Best Cinematography: Mauro Fiore, Avatar. Pauline Kael Breakout Award: Gabourey Sidibe, Precious. Colin Firth in A Single Man: The veteran British actor (Another Country, Valmont) plays a Los Angeles-based English professor grieving the death of his lover (Matthew Goode) in Tom Ford's A Single Man, based on Christopher Isherwood's 1964 novel. A majority of U.S.-based film critics groups have chosen George Clooney as the year's Best Actor for Jason Reitman's socially conscious Up in the Air, but the Detroit Film Critics Society opted for Firth instead. Also in the A Single Man cast: Julianne Moore, Nicholas Hoult, Jon Kortajarena, Paulette Lamori, Ginnifer Goodwin, Teddy Sears, and Aaron Sanders. The Detroit Film Critics Society has announced its list of 2009 nominees. Those in the running for Best Picture are Marc Webb's sleeper hit (500) Days of Summer, Kathryn Bigelow's Iraq War drama The Hurt Locker, Quentin Tarantino's anti-Nazi fantasy Inglourious Basterds, Pete Docter's animated blockbuster Up, and Jason Reitman's socially conscious Up in the Air. All of the aforementioned directors were also nominated. George Clooney, Anna Kendrick, and Vera Farmiga for Up in the Air. Meryl Streep for Julie & Julia. Colin Firth for A Single Man. Carey Mulligan for An Education. Gabourey Sidibe and Mo'Nique for Precious. Stanley Tucci – and to a lesser extent – Saoirse Ronan for The Lovely Bones. There were, however, a few actual surprises, such as Sam Rockwell up for Best Actor for Duncan Jones' Moon; Star Trek and Zombieland up for Best Ensemble; and Woody Harrelson competing with himself in the Best Supporting Actor category for both Zombieland and The Messenger. And here are a couple of eye-popping surprises: The Hangover for Best Ensemble and Alison Lohman in the Best Actress race for Drag Me to Hell. See updated list – including winners – below. Colin Firth, Gabourey Sidibe, Pete Docter, and Up as Best Film were somewhat unusual choices; Christoph Waltz & Mo'Nique way less so. 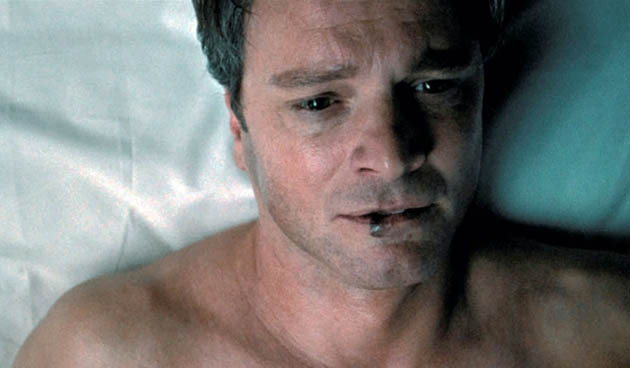 * Colin Firth, A Single Man. Alison Lohman, Drag Me to Hell. Saoirse Ronan, The Lovely Bones. St. Louis Film Critics Association website. Christoph Waltz Inglourious Basterds image: The Weinstein Company. Mo'Nique Precious image: Lionsgate Films. George Clooney Up in the Air image: Dale Robinette / Paramount Pictures. “Christoph Waltz & Mo'Nique: Critics Awards' Clean Sweep” last updated in July 2018.